The Chief Justice of Nigeria, Justice Walter Onnoghen has been rendered moneyless, following the directive by the Attorney General of the federation and Minister of Justice, Abubakar Malami that his accounts be frozen. The order which was made to the Director of the Nigerian Financial Intelligence Unit affects five bank accounts belonging to the CJN(a dollar account, a pound sterling account, a euro account and two naira accounts). 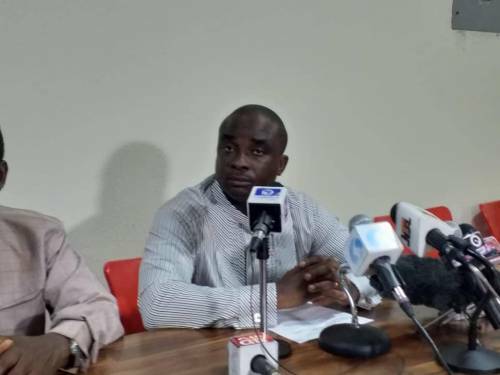 Meanwhile the Conference of United Political Parties(CUPP) has threatened to release call logs of government officials who are involved in the plot to ridicule the judiciary and embarrass Justice Walter Onnoghen “who has refused to be compromised”. The CCT(Code of Conduct Tribunal) had adjourned hearing on the suit against Justice Onnoghen to January 22, due to the failure of the tribunal to serve the CJN court summons personally. It isn’t yet clear if the CCT will continue with the trial or if the CJN will appear in court.